A football coach Juan Carlos Osorio was not just juggling soccer balls but women last Monday when his team was eliminated from the 2018 World Cup after their 2-0 blowout to Brazil. 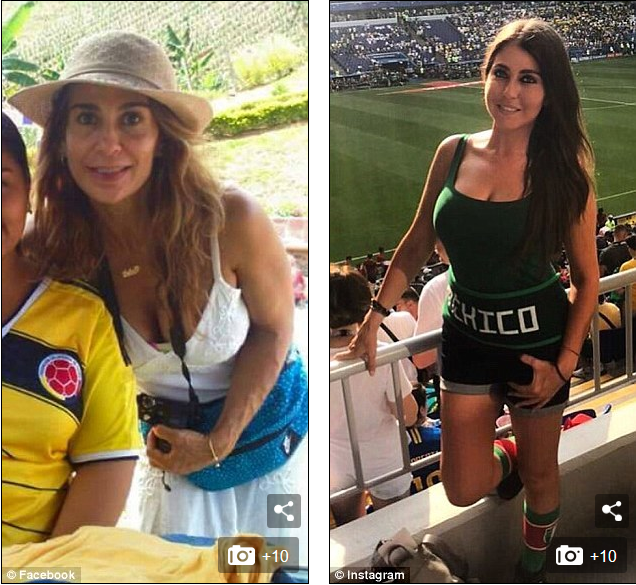 The former footballer and Mexico manager is reported to have brought both his wife and mistress to the game where his team was defeated in the round of 16. 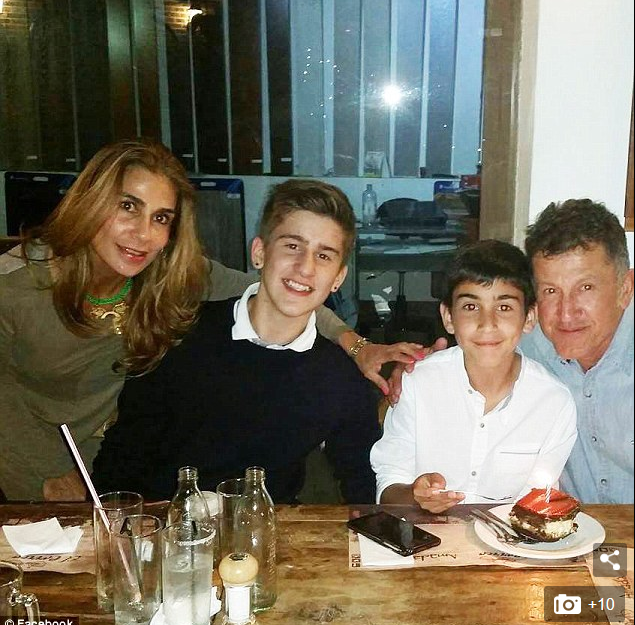 According to Daily Mail, the married father-of-two, 56, has allegedly been having an extramarital affair with sports reporter Mariana Zacarías, 30, for two years, according to local reports which have called him out. Zacarías was seen at the game as well as Osorio’s wife, Juliet Osorio Ceballos, who was with the couple’s two sons, Juan Sebastián and Sergio. Meanwhile, somewhere else in the stadium, Zacarías sported a smile as she posed for social media photos. The brunette bombshell showed off her fit figure while representing the team by wearing a green tank top, matching high socks and shorts. Zacarías wrote in the photo caption: ‘Always with you…’ alongside a Mexican flag and heart emoji. A source close to the coach and reporter told local news outlet TV Notas that Osorio’s mind has been occupied lately – and blamed the alleged love affair for him being ‘deconcentrated’. ‘He always said that he had everything under control, that he could with his wife, with his mistress and with the team, although since he has been with this girl he has become very distracted,’ the source said. The source added that Osorio’s wife is aware of her husband’s relationship – but that Osorio makes light of the whole ordeal. ‘Sure, he knows that Mariana is a lover of her husband since 2016 and has her well located,’ the source said. The source added that Zacarías informed Osorio she would always set aside time to be with him – regardless of the circumstances. 0 Response to "Football Coach Under Fire For Taking His Wife And Mistress To World Cup (Photos)"